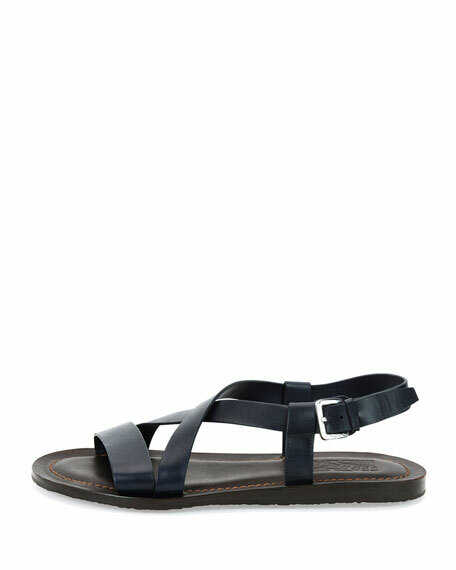 Salvatore Ferragamo sandal in calfskin leather. Flat leather foot bed with printed logo. For in-store inquiries, use sku #2244430. 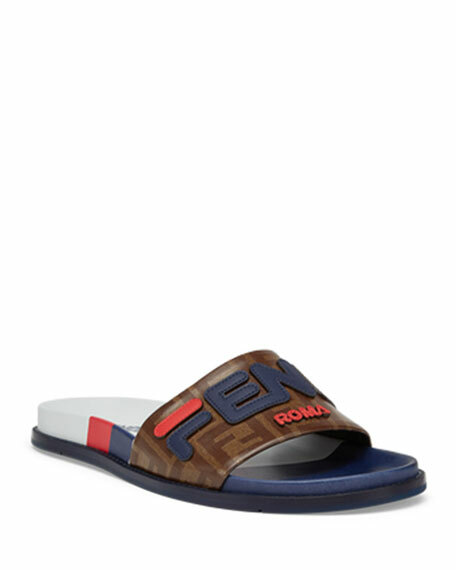 Fendi Mania leather pool sandal with allover signature FF print. 3D logo appliques across wide strap bands open toe. 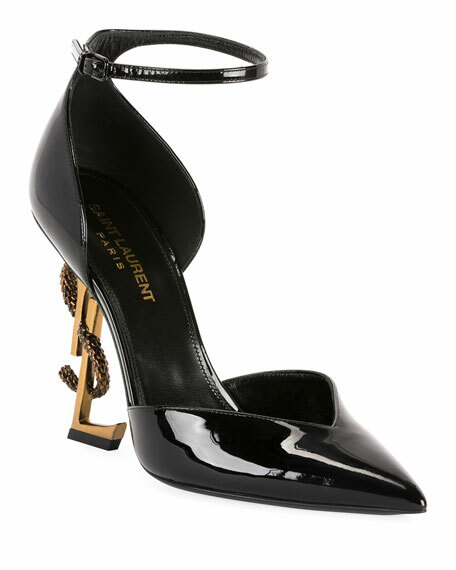 Flat heel with slight platform. Slide style. 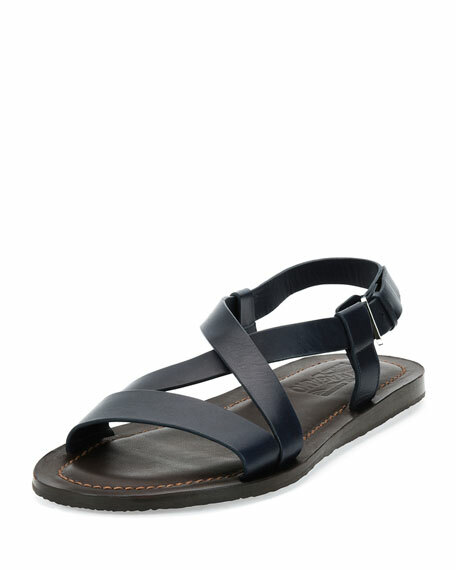 Molded footbed. Rubber outsole. Made in Italy. 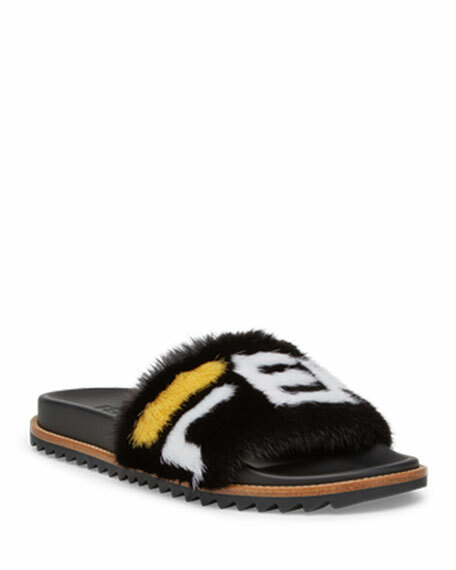 Fendi Mania leather pool sandal in logo print. Dyed mink fur (Italy) strap bands toe. Flat heel with slight platform. Slide style. Molded footbed. Rubber outsole. Made in Italy.